Launch into our personalized quoting journey with just a postal code. Simply enter your postal code into the entry box and click ‘start my quote’ to begin! Here’s where we get to know each other better. We have pulled together a few questions designed to help us craft a personalized quote just for you. At this stage of the journey is where you will decide how much coverage you need for you vehicle(s). Here is where you will truly customize your car insurance policy. Almost there! Take a few minutes to review your personalized quoting results before selecting the best rate from one of Canada’s top car insurance companies. Why should you use Ratehub.ca? You might think that car insurance quotes for the same driver/car would be similar across all providers, but every auto insurance company has its own costs to cover, based on data about all of their existing users/claims. In fact, an insurance rate calculation has many subtle complexities to it and multiple factors contribute to the final rate you receive. Based on the information you provide for your driving profile a car insurance company will categorize your risk potential and calculate a personalized rate. Unfortunately, some factors are out of your control, but there are still a few that you are 100% in the driver’s seat for, so being in the know could save you money on your auto insurance policy. 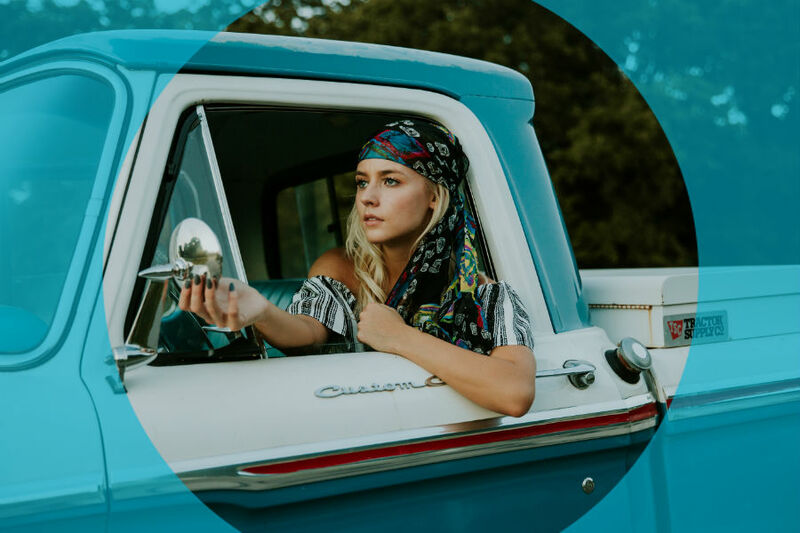 Here are seven factors that auto insurance companies will consider before offering you a personalized car insurance rate. Overall, men are considered riskier drivers. According to Statistics Canada, men are involved in more than twice as many deadly collisions than women. Drivers under the age of 25, particularly single males, have statistically higher collision rates, and therefore pay higher rates. Insurance is all about assessing risk based on data, so companies consider a number of general factors, including time spent driving, type of vehicle, number of accidents, and general driving behaviours. In some cases, being married – especially if your partner has a good driving record – can reduce your rates. Generally, people who live in cities pay more than people in rural areas. Locations close to major roads and intersections with higher traffic volumes often pay more, because accidents correspond to vehicle volume. Neighbourhoods with dense populations can also impact your insurance rates, because larger populations often have more vehicle crime. Insurers determine your rates based on the year, make, model, engine size, and age of a vehicle. More expensive cars, less safe cars, and commonly stolen cars can cost more, as insurance is based partly on how likely your car is to get stolen, how much it would cost to replace it, and the cost to repair it after a crash. Vehicles with the highest safety ratings have lower insurance rates. Not all collisions affect your insurance rates, but crashes where you’re deemed at fault will drive up your premiums. Insurers care about your three-year driving record, because that’s how long convictions stay on your driving record. A single speeding ticket may not have a huge impact on your premiums, but repeated infractions could cost you – and serious driving crimes that result in court convictions can really hit hard. As a rule, the more you drive your car, the more you pay in insurance. If you commute to work in your car every day, or drive long-distances regularly, you will almost certainly pay higher rates. Riding a bike, carpooling, and taking the bus or train can save you in insurance costs by cutting your mileage. There are many different types of car insurance coverage available in Canada. Some are compulsory and some are optional, and these differ between provinces. Liability cover is mandatory across Canada, while individual provinces have other mandatory requirements. The more coverages you have, the more you pay. Bundling more than one car onto a single insurance policy can save you money, as can bundling your car with your home insurance. Some insurers offer “good student” discounts to full-time post-secondary students who can prove their good grades. Many insurers also offer discounts to members of professional organizations or affiliation groups – so it pays to ask about discount relationships. Among the things insurance companies don’t take into account are: employment history, bankruptcy, your housing situation and history, or your net worth. In Ontario and Newfoundland and Labrador, insurers also cannot take your credit score into account when assessing your premiums – but in Nova Scotia they can; in Alberta, they need your permission. Car colour also doesn’t affect rates – it is a widely-believed myth that owners of red cars pay more – they don’t. In order to operate a vehicle in Canada, you are required to have a valid car insurance policy in place at all times. Car insurance policy requirements vary from province to province, depending on the type of insurance system each is mandated by (public vs. private). However, you need to have a minimum amount of third-party liability insurance, to protect yourself financially in the event that you injure someone or damage their car/property. You’ll also need a minimum amount of accident benefits protection, which provides you with coverage for any medical/rehabilitation costs that occur as result from an accident. The majority of Canadians choose to customize their policy beyond the mandatory minimum coverage requirements, though additional coverage options and limit increases may vary by Province. Examples of policy customization would be adding collision and comprehensive coverage to your policy, while upping your accident benefits limits to better suit your needs. Before finalizing your policy make sure to review all coverage options available to you within your Province! Auto insurance is mandatory in every province and territory. However, there are differences depending on where you live. For instance, coverage and rates vary across the country. Throughout the majority of Canada your only option for insurance is through the private market, but in a few provinces there is mix of both public and private insurance. In Alberta, Ontario, the Atlantic provinces, and the territories, there are only private insurers. In British Columbia, Manitoba, and Saskatchewan, basic auto insurance is available from the government and additional coverage is available from private insurers. Quebec, on the other hand, has is it's own unique regulations - public insurance covers injury or death while private insurance covers property damage. Basic auto insurance coverage provided by the Provincial governement. This generally includes liability, accident benefits and uninsured motorist coverage. Auto insurance policies created and sold by private insurance carriers. Though these carriers must still abide by Federal and Provincial regulations. Protects against damage caused by you while driving, and includes injury and death to others and property damage. This is the only insurance coverage that is mandatory across Canada. Minimum coverage for Ontario is $200,000. This service covers you for roadside callouts for emergencies such as dead batteries, towing, flat tires, keys locked in your car, empty gas tank, etc. Many insurance companies offer roadside assistance either included or in addition to other coverages. Basic auto insurance coverage provided by the Bitish Columbia governement (ICBC). This generally includes liability, accident benefits and uninsured motorist coverage. Having no-fault insurance doesn’t mean you can’t be found at fault. This coverage means you must first deal with your own insurance company for all claims, whether you’re at fault or not. But, British Columbia will allow a no-fault driver to sue an at-fault driver for additional damages and costs that are not covered by their accident benefits. Protects against damage caused by you while driving, and includes injury and death to others and property damage. This is the only insurance coverage that is mandatory across Canada. Minimum coverage for British Columbia is $200,000. Having no-fault insurance doesn’t mean you can’t be found at fault. This coverage means you must first deal with your own insurance company for all claims, whether you’re at fault or not. But, Alberta has a hybrid system no-fault and tort-based system that will allow a no-fault driver to sue an at-fault driver for additional damages and costs that are not covered by their accident benefits. Protects against damage caused by you while driving, and includes injury and death to others and property damage. This is the only insurance coverage that is mandatory across Canada. Minimum coverage for Alberta is $200,000. Basic auto insurance coverage provided by the Manitoba governement (MPI). This generally includes liability, accident benefits and uninsured motorist coverage. Having no-fault insurance doesn’t mean you can’t be found at fault. This coverage means you only deal with your own insurance company for all claims, whether you’re at fault or not. Even when you’re the driver at fault, your insurer only has to pay for the damage to your car, not for damage you caused another other driver. Protects against damage caused by you while driving, and includes injury and death to others and property damage. This is the only insurance coverage that is mandatory across Canada. Minimum coverage for Manitoba is $200,000. Having no-fault insurance doesn’t mean you can’t be found at fault. This coverage means you must first deal with your own insurance company for all claims, whether you’re at fault or not. But, New Brunswick will allow a no-fault driver to sue an at-fault driver for additional damages and costs that are not covered by their accident benefits. Protects against damage caused by you while driving, and includes injury and death to others and property damage. This is the only insurance coverage that is mandatory across Canada. Minimum coverage for New Brunswick is $200,000. Having no-fault insurance doesn’t mean you can’t be found at fault. This coverage means you must first deal with your own insurance company for all claims, whether you’re at fault or not. But, Newfoundland & Labrador will allow a no-fault driver to sue an at-fault driver for additional damages and costs that are not covered by their accident benefits. Protects against damage caused by you while driving, and includes injury and death to others and property damage. This is the only insurance coverage that is mandatory across Canada. Minimum coverage for Newfoundland & Labrador is $200,000. Having no-fault insurance doesn’t mean you can’t be found at fault. This coverage means you must first deal with your own insurance company for all claims, whether you’re at fault or not. But, Nova Scotia will allow a no-fault driver to sue an at-fault driver for additional damages and costs that are not covered by their accident benefits. Protects against damage caused by you while driving, and includes injury and death to others and property damage. This is the only insurance coverage that is mandatory across Canada. Minimum coverage for Nova Scotia is $500,000. Having no-fault insurance doesn’t mean you can’t be found at fault. This coverage means you must first deal with your own insurance company for all claims, whether you’re at fault or not. But, the Northwest Territories will allow a no-fault driver to sue an at-fault driver for additional damages and costs that are not covered by their accident benefits. Protects against damage caused by you while driving, and includes injury and death to others and property damage. This is the only insurance coverage that is mandatory across Canada. Minimum coverage for the Northwest Territories is $200,000. Having no-fault insurance doesn’t mean you can’t be found at fault. This coverage means you must first deal with your own insurance company for all claims, whether you’re at fault or not. But, Nunavut will allow a no-fault driver to sue an at-fault driver for additional damages and costs that are not covered by their accident benefits. Protects against damage caused by you while driving, and includes injury and death to others and property damage. This is the only insurance coverage that is mandatory across Canada. Minimum coverage for Nunavut is $200,000. Having no-fault insurance doesn’t mean you can’t be found at fault. This coverage means you must first deal with your own insurance company for all claims, whether you’re at fault or not. But, Prince Edward Island will allow a no-fault driver to sue an at-fault driver for additional damages and costs that are not covered by their accident benefits. Protects against damage caused by you while driving, and includes injury and death to others and property damage. This is the only insurance coverage that is mandatory across Canada. Minimum coverage for Prince Edward Island is $200,000. Basic auto insurance coverage provided by the Quebec governement (Société de l'assurance automobile du Québec). This includes liability, accident benefits and uninsured motorist coverage. Protects against damage caused by you while driving, and includes injury and death to others and property damage. This is the only insurance coverage that is mandatory across Canada. Minimum coverage for Quebec is $50,000. Basic auto insurance coverage provided by the Saskatchewan governement (SGI). This includes liability, accident benefits and uninsured motorist coverage. Having no-fault insurance doesn’t mean you can’t be found at fault. This coverage means you must first deal with your own insurance company for all claims, whether you’re at fault or not. But, Saskatchewan will allow a no-fault driver to sue an at-fault driver for costs that are not covered by their accident benefits. In Saskatchewan drivers can opt for a tort system instead of a no-fault system that includes lower accident benefits and will allow a driver to sue an at-fault driver for pain and suffering and excess accident benefit costs. Protects against damage caused by you while driving, and includes injury and death to others and property damage. This is the only insurance coverage that is mandatory across Canada. Minimum coverage for Saskatchewan is $200,000. Having no-fault insurance doesn’t mean you can’t be found at fault. This coverage means you must first deal with your own insurance company for all claims, whether you’re at fault or not. But, the Yukon will allow a no-fault driver to sue an at-fault driver for additional damages and costs that are not covered by their accident benefits. Protects against damage caused by you while driving, and includes injury and death to others and property damage. This is the only insurance coverage that is mandatory across Canada. Minimum coverage for the Yukon is $200,000. In the chart below, you’ll find the types of insurance, the coverage options available, and the average rates across Canada. Auto insurance rates can vary wildly between companies – you need to research which insurer will offer the best coverage specific to you. You may get discounts if you bundle insurance plans together, for example, by having your auto and home insurance bundled together with the same carrier. The deductible is what you pay when something happens to your car, before the insurance company pays the rest. Increasing your deductible can lower your annual premiums. Many insurers offer discounts to members of professional organizations or affiliation groups – so it pays to ask about discount relationships. If you pay your premiums up front for the year – or even per half-year – you will usually end up paying less than if you paid monthly. At-fault collisions and driving convictions stay on your insurance record for years and make your rates go way up – if you drive safely, sensibly, and obey the road rules over a long period, you’ll pay the lowest rates. With user-based insurance (UBI) you can earn discounts for driving well. Tracking your own driving online, you can earn discounts by not driving far or often, and on advanced stats like how carefully you brake and accelerate. Accredited driving courses will not only make you a safer driver, but can also result in discounts from many insurance companies.